Big Red Cloud makes day to day accounting painless, whether you're processing an invoice or managing a transaction. Their secure and reliable accounting software ensures your data is protected at all times. This is backed up by a fantastic & dedicated support team. Big Red Cloud software saves you time and money, empowering business owners to take control of their finances. Big Red Cloud are currently offering a 30-day free trial. www.bigredcloud.com. 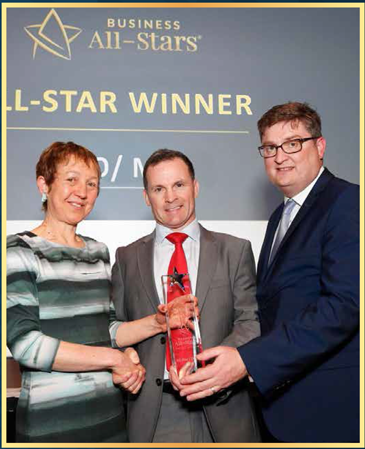 Marc O’Dwyer, CEO of Big Red Cloud was crowned CEO of the Year at the finals of this year's Business-All Stars Competition. Marc launched Big Red Cloud, the online version of Big Red Book, in June 2012. Marc continues to run both Big Red Book & Big Red Cloud. 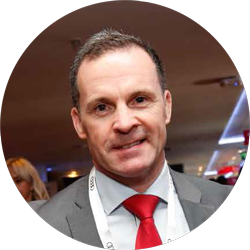 Big Red Cloud is a leading supplier of online account’s software to the SME market in Ireland. 50,000 companies use their suite of products. The Brand of the Year win for the company is testament to the hard work the BRC team put in day in day out.